In recent news, the pilot of an aircraft that caught fire was chastising passengers for taking their luggage. What are the major concerns behind his criticism? All passengers and crew survived. Crew reported that the evacuation was very orderly and efficient. another passenger cohort could have been less orderly, and pushing with luggage resulted in injuries or people becoming trapped. sliding down inflatable exit slides with luggage could cause the slides to puncture and trap other passengers. the inflatable exit slides are not rates to carry the weight of an adult + luggage (seems unlikely unless the adult is massively obese). Would appreciate hearing a list that is not just educated guessing. As soon as there's a fire on board, the absolute top priority is getting everybody out as soon as possible. Aircraft are designed in such a way that, even after a crash landing (or other serious malfunction), the passengers will have a minute or two to evacuate before conditions in the cabin become toxic (fire, smoke, etc); this is done by using flame-retardant material and burn-through protection, but in an intense fire these won't protect the cabin for long, and once they fail no-one will be able to survive inside the aircraft for much longer than that. Smoke inhalation and oxygen deprivation kill just as effectively as being burned. The time it takes to get it out of the overhead bins (with everyone else crushing against you to get out). Carrying the luggage down the aisle (without tripping, hurting yourself or anyone else - again, look at the A380 video, and imagine trying to do that with a suitcase). If you lose your luggage, everyone behind you will have to climb over it to get to the exit. Maneuvering your suitcase around the corner to the door, not getting it stuck on the door frame, with people behind you literally shoving you out the door. Plunging down a very steep slide the height of a two-storey building (or more, in case of the A380's upper deck) at high speed, with your suitcase flailing around. At best it whacks you on the head, at worst it punctures and deflates the slide, which given the crush of passengers behind you will probably lead a few people to plummet from the aircraft doors straight to the ground. Assuming you've made it to the ground, there is someone else plunging down the slide right behind you. If your suitcase slows you down even a little, they will plow right into you, and soon you'll have a crush of people at the foot of the slide. In this specific case, the fire was fortunately not serious enough to defeat the cabin fire protection before the last passengers had evacuated - but as @Andy said, there are unfortunately other examples where the passengers were not so lucky. To illustrate the risk of fire after landing: Air France Flight 358 ran off the runway at landing, and despite having little fuel on board, the resulting fire completely destroyed the aircraft; luckily, everyone evacuated in time. Once there's been a major malfunction, there is no way to tell how much time you have left to get out - fire can spread very very quickly - and so you have to get out as quickly as possible. Taking luggage with you endangers your life and that of your fellow passengers. Just one angle I would like to add to these excellent answers. Passengers might be slow to get off because they want to retrieve their passports, driving licences, phones etc. This could well result in people at the back losing their lives as explained in the other answers on this post. But consider this: if people are on the aircraft, the fire service can't properly attack the fire, because covering the aircraft with foam might SUFFOCATE the passengers still on board. So if passengers are quick to get off, the fire service can then deal with the fire as quickly as possible, and it might well result in your driving licence being saved as well, rather than you die along with your driving licence. Remember the Manchester airport fire... a major fire on the ground which led to the loss of over fifty passengers, partly due to smoke inhalation. These days a fire on board has to be taken very seriously. Just because you're on the ground doesn't mean you're safe! So, in your request for a list, there can only be one item on that list... that slowing down the evacuation can result in very heavy losses. I'm sure every commercial pilot has been briefed on past fires and knows how quickly they can become disasters. The fact that no-one received fire related injuries on a particular occasion is irrelevant. could cause an obstruction at the bottom of the slide as people are coming out of the plane. Keep in mind that the BA flight in LV that caught fire wasn't full. In an emergency, on a completely full flight, on a larger airplane, do you really want people thinking "those other people on other flights took their luggage and everyone survived!" when you and your loved ones are trying to just get out and get to safety? The pilot of the BA flight has a right to also have strong words, as the flight crew is always the last to evacuate. Delaying an evacuation could prove particularly harmful to them as they can't get out until everyone else does. As highlighted by these two points of view (pros and cons), there is no clear answer. In short, in case of evacuation, the aircraft must be empty of passengers in less than 90 seconds, not using all exits (because some may be obstructed by fire). Given the fact that any luggage in an evacuation process may be lost anywhere from the seat to the tarmac, including the small escape hatches and the middle of the escape slides and cannot be retrieved until the end of the evacuation process, it may constitute a potential obstacle for the other passengers. An obstacle in such a critical phase may lead to at least injuries (broken leg while reaching the end of the escape slide), and in the worst case to passengers not able to evacuate in time. Keep in mind that there are emergency services on the runway, and insurance if you lost luggage in the process. Therefor, the only thing you should think of is to evacuate to stay alive. EDIT : This answer doesn't answer OP's request for the reasons why... However, some people looking for an answer such as the one asked by OP already knows the rules, and agree with it only when there is a critical risk of death. Rules are there for a reason ! There's only one thing that can put an end to the internet bashing over people (if that's the problem) who bring their stuff with them. and with a safe and strong handle. Then, no problem, everyone can bring his stuff with him upon evac. Simple rule, no possible sueing. You have your (critical) medication, your passport, business documents, credit card or cash, etc. 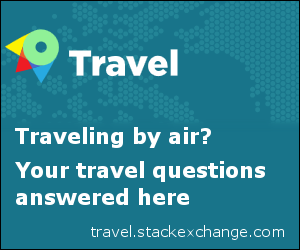 This answer doesn't really addresses the asked question; however, the asked question is an open and endless debate (pros and con) and have precise answer from the airline industry (NO ! There is no possible compromise when it comes to safety concerns), while mitigated answers from passengers point of view. I'm just both happy noone were injured on this case - EDIT: Wrong ! there were injuries -, and sad the practice has taken a so wide and careless proportion. If that continues, statistically, one big bad thing will happen sometime in the future, for sure. Not the answer you're looking for? Browse other questions tagged safety commercial-aviation passenger procedure evacuation or ask your own question. Where does the Oxygen for the emergency gas masks come from? Under what conditions are passengers required to take precautionary measures during refueling? When taking passengers, what should I do to prepare them? What is this very distinct humming noise coming from the IAE-V2500 engines of the A320 during taxi? How are disabled passengers evacuated during emergency?